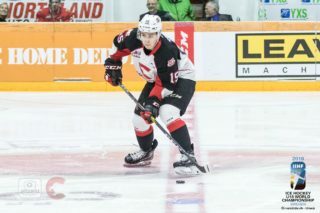 The Colorado Avalanche have signed Swift Current Broncos defenceman Josh Anderson to a three-year, entry-level contract the NHL club announced Thursday. Anderson, a 6-foot-3, 220-pound product of Duncan, B.C. was originally selected by the Avalanche in the third round, 71st overall, of the 2016 NHL Draft. 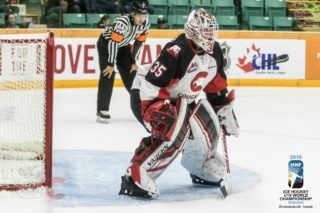 This season, Anderson has tallied 14 points (3G-11A), a plus-seven rating, and 74 penalty minutes in 54 games split between the Prince George Cougars and Broncos. A veteran of 206 Western Hockey League regular season games, Anderson has 35 points (9G-26A) since entering the league in the 2013-14 season. The 19-year-old blueliner has two career power-play goals and two career game-winning goals. In 12 career WHL Playoffs games, Anderson has a single assist and 12 penalty minutes. 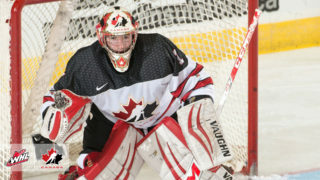 Anderson was originally a first-round selection, third overall, of the Cougars in the 2013 WHL Bantam Draft. 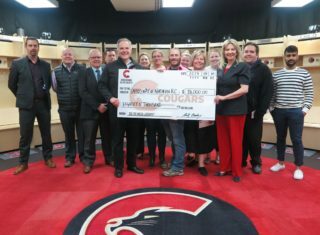 He has also represented Hockey Canada at the 2014 World Under-17 Hockey Challenge and won a silver medal with British Columbia at the 2013 WHL Cup. The Broncos and Anderson will be back in action Friday, March 30 (7:00 p.m. MT) when their first round best-of-seven series against the Regina Pats in the 2018 WHL Playoffs shifts back to Speedy Creek for Game Five.